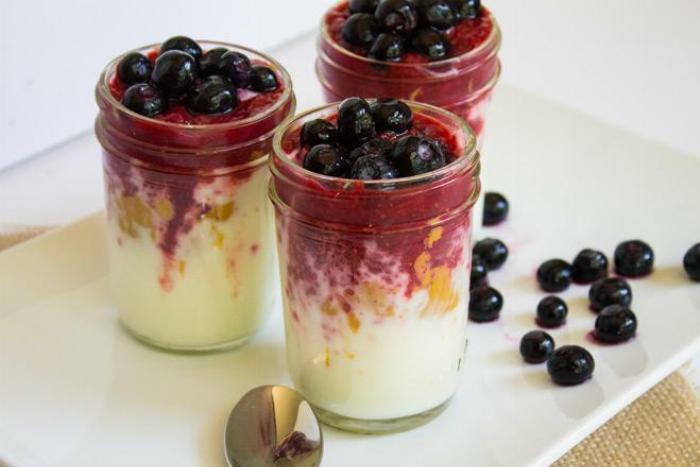 Place the yogurt in a mason jar. Top with jelly, then peanut butter. Sprinkle peanuts and blueberries on top. 1Place the yogurt in a mason jar. 2Top with jelly, then peanut butter. 3Sprinkle peanuts and blueberries on top.